I’m being a bit redundant this week, aren’t I? 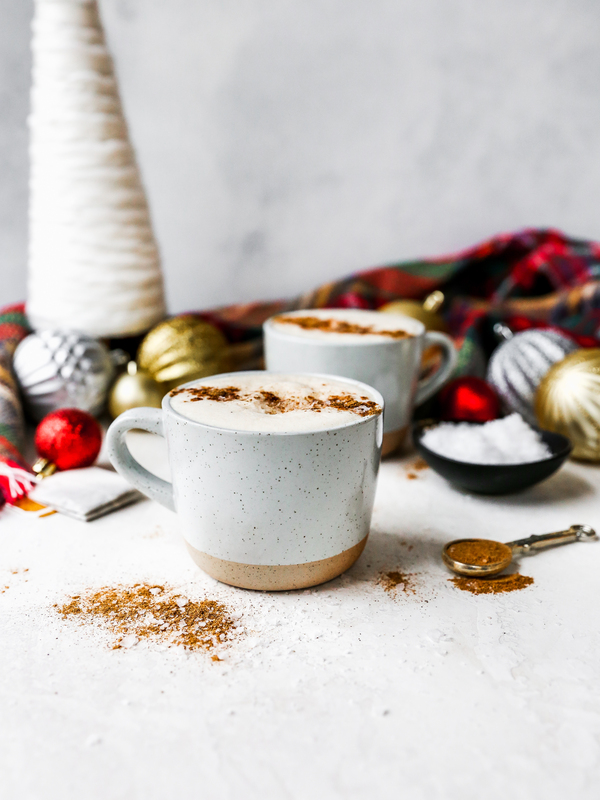 A couple of days ago, I shared another hot beverage recipe (this insane hot chocolate), and it too also featured the flavors of chai. What can I say? I’ve got cozy on the brain! 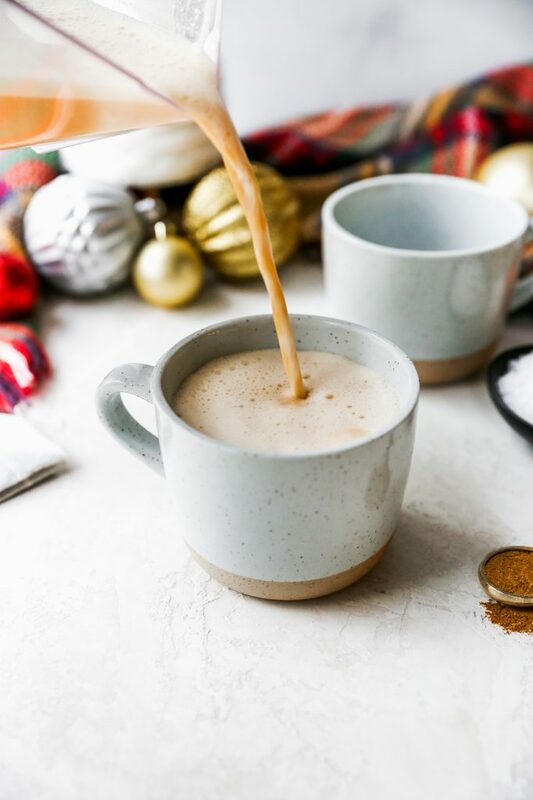 Chai spice is one of those things I just can’t get enough of this time of year. 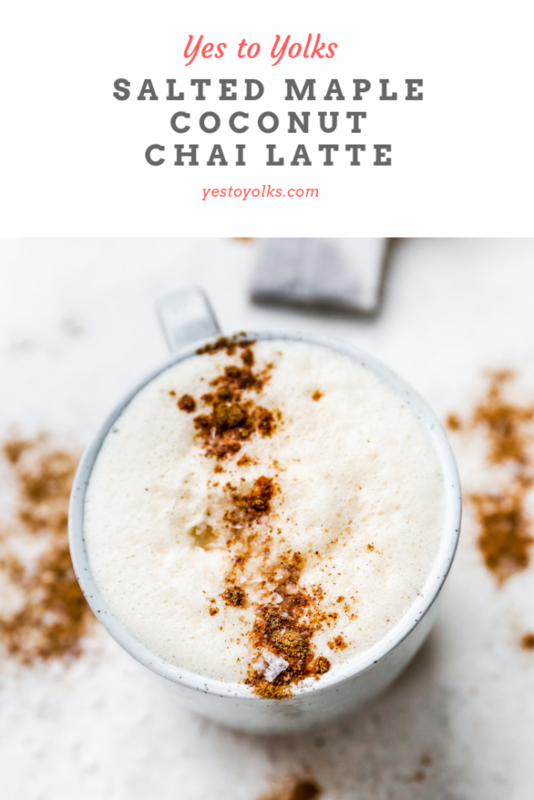 If you do a “chai spice” search on the blog, you’ll see just how many ways I’ve incorporated it into our meals. 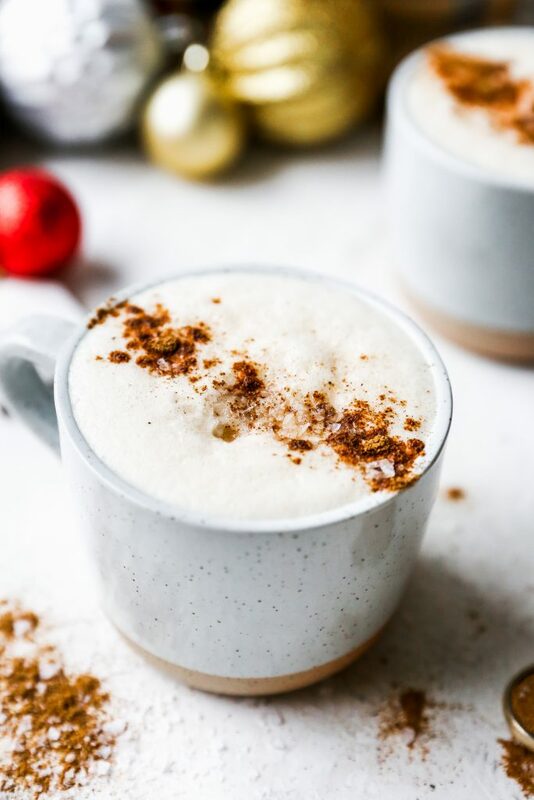 So, here’s the thing about these chai lattes: they are totally inspired by my friend Jessica’s salted maple power coffee that she shared a month or so ago. As I mentioned in my last favorites post, I’ve been pretty much obsessed with this recipe. It takes an ordinary cup of coffee to the next level, and I can’t get enough. Given that I’m currently pregnant, I do have to watch my caffiene intake. I could never go cold turkey (and my doctors have assured me that it’s not necessary to do so), but I have been careful about how much I’m consuming. Lots of half-caf coffees over here. 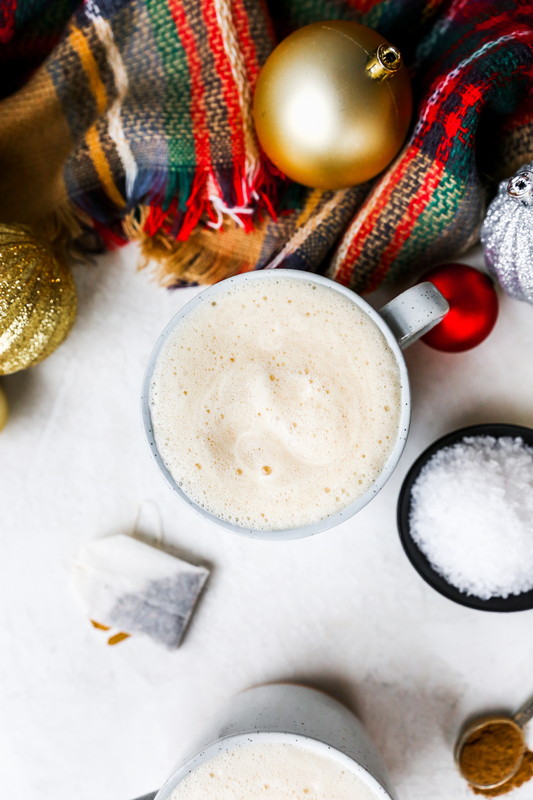 And as much as I love coffee (it’s one of the best parts of my day), I have been swapping for lower-caffiene tea regularly. My favorite caffienated tea just so happens to be chai. Shocker, I know. And that is exactly how this recipe came to be! I took Jessica’s genius and applied it to chai tea. And the results were wonderful! 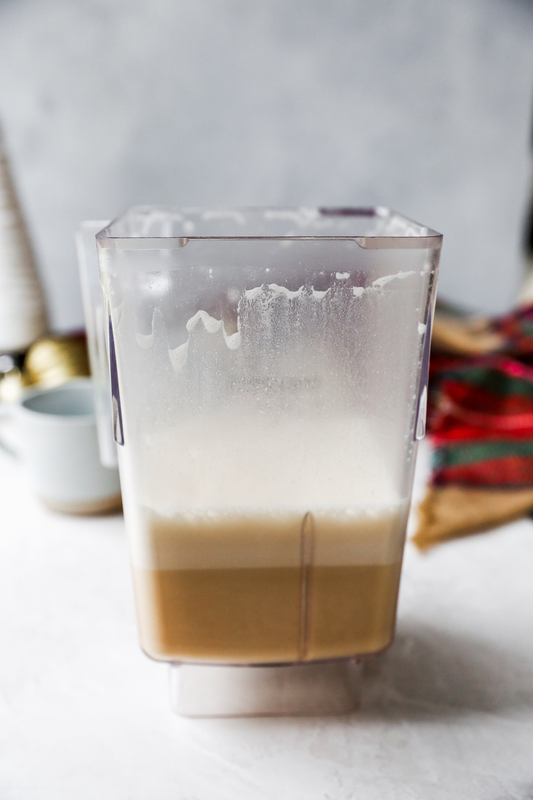 Chai lattes are a SUCH a treat, and I love that this one is on the healthier side, thanks to the addition of coconut butter/oil, collagen peptides, etc. It still feels like an indulgence but is actually good for me! Plus, the decreased caffiene means that I can enjoy this in the mid afternoon, when the effects of my half-caf morning coffee have completely worn off. I’d call that winning the pregnancy game, for sure. 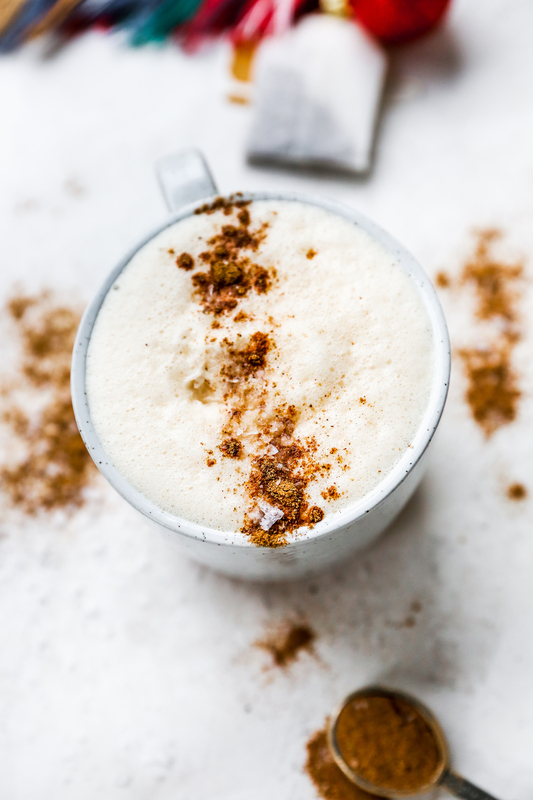 Add all the ingredients except the chai spice to a blender. Blend on low speed at first and then gradually increase the speed, venting the top of the blender so some steam can escape. 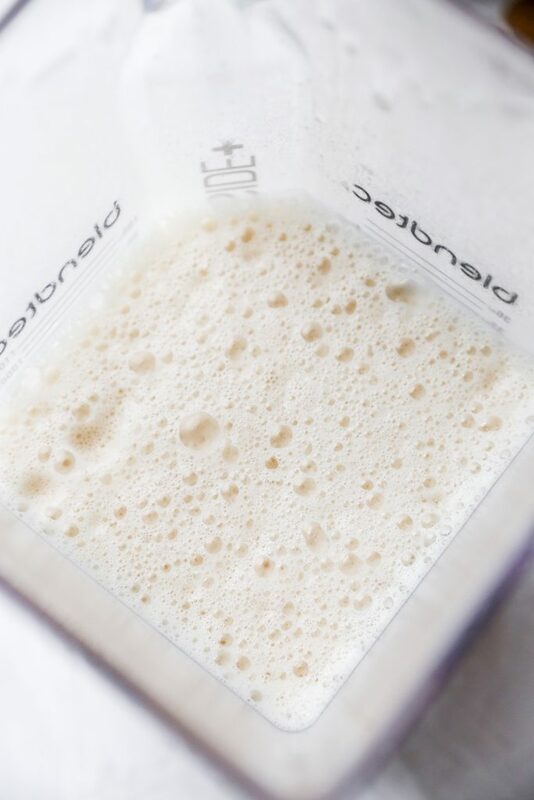 Blend until everything is frothy and well mixed, about 20 seconds. 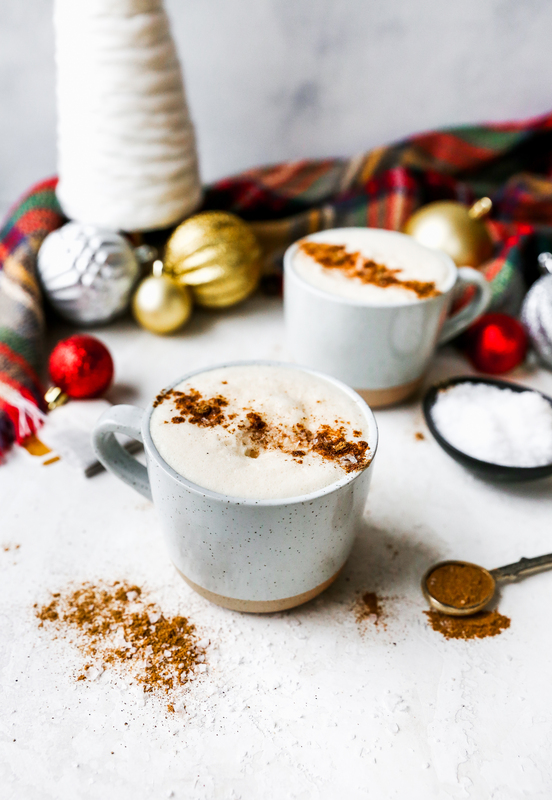 Pour into two mugs and garnish with a dusting of the chai spice and another pinch of the flaky sea salt. Inspired by/lightly adapted from here. Hi Kailey! From Crate & Barrel!